Tequila cocktails are diverse and a lot of fun to explore. You can mix up the original margarita or enjoy it in a variety of flavors, from strawberry to tamarind. There are also tall, refreshing mixed drinks, slow-sipping versions of popular vodka cocktails, and interesting spicy cocktails to tantalize your taste buds. With each recipe, you get an entirely new experience. The beauty of tequila is that its agave flavor brings an earthy, sweet element to drinks that cannot be found in any other distilled spirit. It's interesting to see how that flavor reacts with a variety of mixers, so let's begin your tequila adventure with a few essential cocktails. The margarita is the most widely known tequila cocktail. The original lime version is incredibly easy to mix up from scratch. It requires just three ingredients and the fresh citrus flavor is captivating. Once you get a taste of an authentic margarita, you're ready for the countless other margaritas. Some are frozen, many feature fruits like strawberries, apples, and pineapple, and quite a few combine intriguing flavors like mint, cucumber, and hot sauce. Another iconic cocktail in the world of tequila is the beautiful tequila sunrise. This simple mixed drink is made up of tequila, orange juice, and grenadine, and its visual appeal has inspired a number of other cocktails over the years. Not only does the grenadine create a sunrise in your glass, it also adds a fruity sweetness. This is a fantastic contrast to the tart citrus. With tequila hanging out in the background, it's easy to see why this will forever be a favorite. The paloma may be one of the most underrated tequila cocktails around. It's a fantastic mixed drink for lazy afternoons and unbelievably refreshing. For this recipe, you'll choose your favorite tequila, add a little lime juice, then top it off with grapefruit soda. The simplicity does not do justice for the taste and it's one of the best ways to experience the perfect pairing of tequila and grapefruit. Tequila makes an appearance in a family of cocktails known as the collins drinks as well. While gin, whiskey, and vodka have long been the stars of this famous formula, a shot of tequila gives it new life. The Juan Collins recipe is a perfect way to show off any tequila in a tall, refreshing mixed drink. To make it, you'll pour lemon juice and agave nectar, and finish it off with club soda. These semi-transparent flavors allow a good tequila to really shine in all its glory. With all the martinis in the world, it should not be a surprise that tequila has found its way into the mix. The tequini simply replaces gin with tequila and it's a wonderful way to switch up a routine. The key to a great tequini is to start off with the best blanco tequila you can find. When that is paired with a quality vermouth, the result is a dry cocktail with a shining personality. Fans of the vodka-based black Russian will surely want to get a taste of the brave bull. 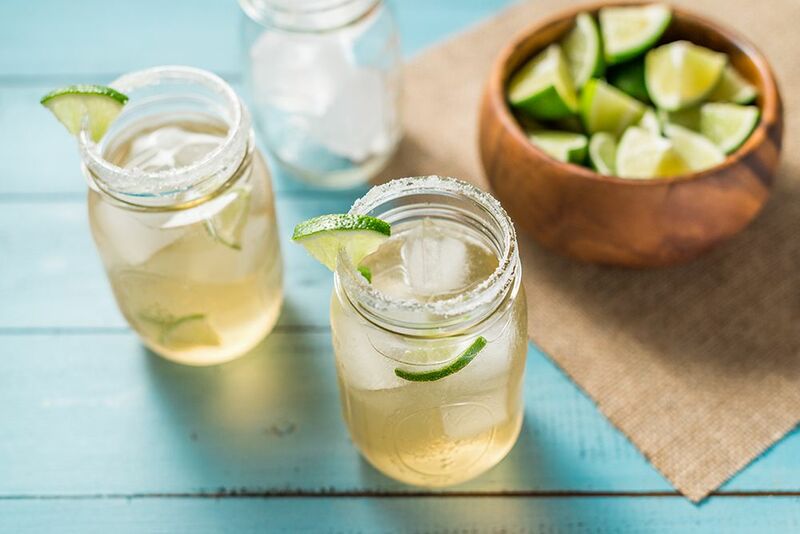 The background flavor of tequila's agave adds a new dimension to this popular mixed drink and it's a fun twist on a happy hour staple. This recipe also shows off another fabulous tequila pairing. The liquor is a great companion for coffee and in this lowball, all you need is a little Kahlua or your favorite coffee liqueur. Blue cocktails have a certain allure and when tequila is thrown into the mix, you know it's time to get the party started! One of the best in this category is the stunning envy cocktail. This fancy little cocktail is filled with tropical fruits. The recipe shakes tequila with blue curaçao and pineapple juice and serves it in a cocktail glass. It works just as well for elegant affairs as it does for casual parties and it is a drink your guests will certainly not forget. The bloody Mary is one of the most popular mixed drinks of all time. Have you tried substituting tequila for the vodka? It's a simple little switch, but it makes a big impact in the flavor. The bloody Maria recipe has everything that's great about the original. You get the savory taste of tomato juice and all the classic spices that can be customized to your taste. However, having tequila's agave flavor in the background makes this brunch cocktail even more interesting. The passion cocktail is an excellent choice when you're in the mood for the sweet taste of cranberry. Just like the cosmopolitan—which inspired this recipe—it's perfect for a romantic dinner or a great way to relax after a long day. The recipe actually makes two drinks and you're definitely going to want to share it. You'll need cranberry and lime juices along with an orange liqueur like Grand Marnier. It's simple, lovely, and you might even find you prefer tequila over the vodka version. Tequila is used for many shots and shooters, but few can rival the taste of the sangrita. This two-part shot is a taste experience like no other and there are a couple ways to make it. The modern sangrita chases a shot of tequila with a mix of spicy tomato juice. The original version is completely different. It backs up the tequila with an orange, lime, and grenadine shot that's laced with hot sauce. Both are fun and not to be missed by any fan of tequila.